Alberta Health Services – Nutrition Services will be transitioning its resources to support the new food guide over the next year. 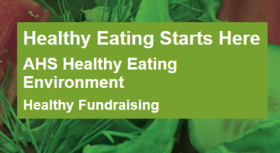 The Guidelines are designed to help child care facilities, schools, recreation centres, special event planners and communities make healthy food readily available for young people. A great resource to use when preparing baked goods for sale to students. Learn about healthy eating, serving sizes and the Canada’s Food Guide through interactive education activities. 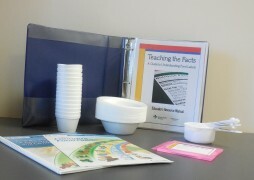 A versatile nutrition teaching tool for all ages! The Eat Well Plate helps you follow Eating Well with Canada’s Food Guide when planning and serving meals. Get your copy or a class set of Eating Well with Canada’s Food Guide – 2007 Version today! EATracker (EatActivityTracker) lets you track your day’s food and activity choices and compares them to the guidelines laid out by Health Canada. 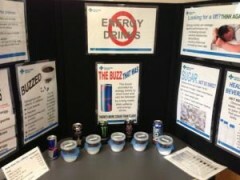 Raise awareness about the amount of sugar and caffeine in common energy drinks. A lightweight three panel display that sets up in less than a minute. This updated display is great to have for parent teacher interview nights, or to set up at school for students to see. A presentation developed for use by anyone interested in starting a health and wellness committee. 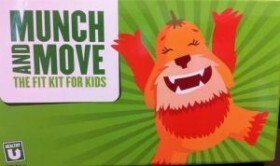 Schools, childcare centres, recreation centres and other work sites are working towards healthier eating environments. Learn how to read food labels and understand how packaged foods fit Canada’s Food Guide. The kit is divided into two main sections: Mission Nutrition for K-8 and Healthy Eating is in Store for You for grades 9 – 12. The kit aims to raise awareness about the amount of sugar in common beverages and the value of healthier choices. When students eat nutritious food, they are healthier and better learners. This resource provides teachers with 10 ready-to-use interactive activity stations which can be self-directed or completed as a class. 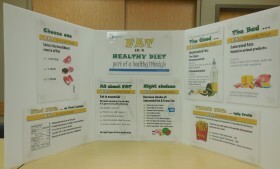 These nutrition topics are ready to be inserted into your school newsletter. 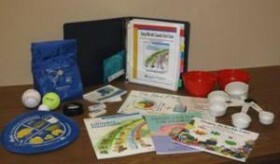 To help educators and health professionals teach consumers how to use the information on food labels. 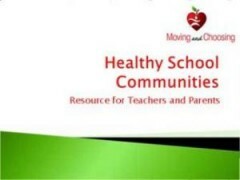 The School Nutrition Education Resources List provides school teachers, child educators, administrators, health professionals and parents with information and materials to teach students and children about nutrition and healthy food choices, Alberta Health Set vices supports healthy food environments in schools, recreation facilities and child care centres. 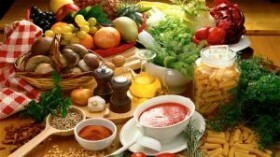 Refer to the Dietitians of Canada link for information regarding Healthy Eating while following a vegetarian diet.